Delicious sharing boxes for a unique centre piece at the family get-together. 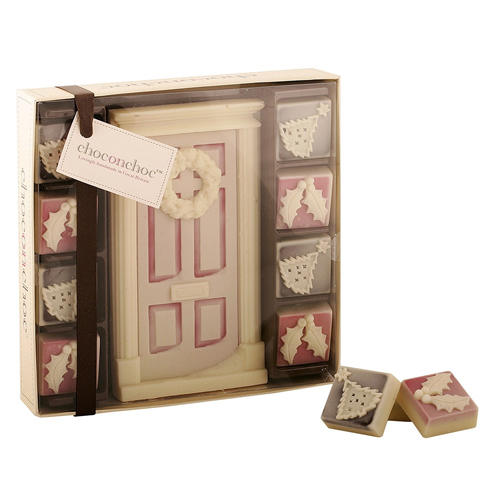 This box holds a beautifully carved chocolate door with wreath surrounded by Christmas trees and hollies. The chocolates are made by hand out of scrummy white and dark Belgian chocolate. You will be very popular when these chocolates are presented! Would make a lovely gift too.